This new feature in AutoCAD 2016 is by far my favorite. The problem comes when you print your drawing. Your electrical content is hard to differentiate from the other discipline’s. If the other disciplines used their layers “BYLAYER” you could easily change how they display in your drawing. 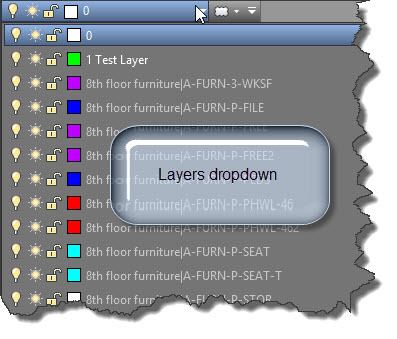 Controls the display of object properties on referenced layers. Note: The XREFOVERRIDE system variable only applies to DWG xrefs, not to other references such as underlays. This entry was posted in Layers, Linetypes, New in 2016, Printing - Plotting, XREFs. Bookmark the permalink. Thanks for the information regarding the xrefoverride. Currently when i bind the xref, it changes back to the display as xrefoverride=0. Please assist me on this. Thank you. This is the correct functionality for binding the XREF into the drawing. The XREFOVERRIDE command is just a control for current XREFs so that you have control over how they appear when they are XREFs. Once the XREF is bound is bound into your drawing, what was once XREFed layers are now a part of your drawing included with the rest of your current drawing’s layers and will therefore need to be handled in the Layer Properties Manager. Keep in mind that this system variable/tool was included so that we could finally have control over XREF layers that have overrides applied to them and nothing more. Thank you sir, You made the point clear. Is there any setting to be set up before I type xrefoverride? I follow your instruction but there’s no difference when I set xrefoveride with ‘0’ or ‘1’. I am using AutoCAD 2016. Simply changing the setting for XREFOVERRIDE wont change the layers of the XREF. You do need to open the Layer Manager and select the layers of the XREF and then set them to the color that you want them to display. Are you doing that? Yes I have had that problem too. Most annoying. I certainly hope that Autodesk will fix this problem.